Select the theme from the System list and then hit the apply button. 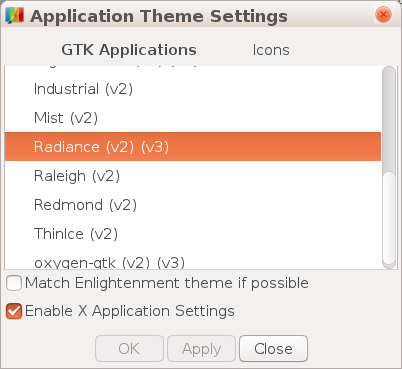 Scroll down till you find the matching GTK theme and select it. Then hit the apply button. 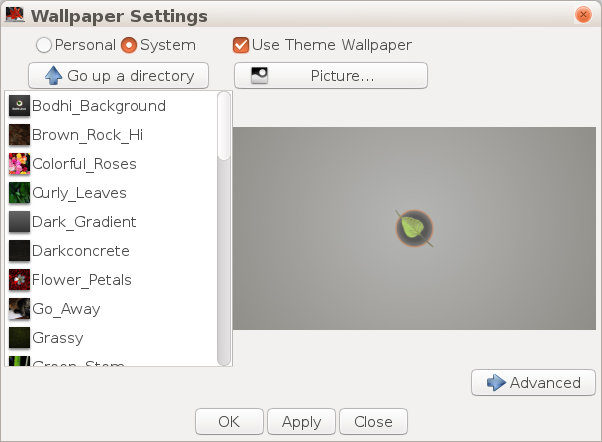 Check the Use Theme Wallpaper box and then hit apply. 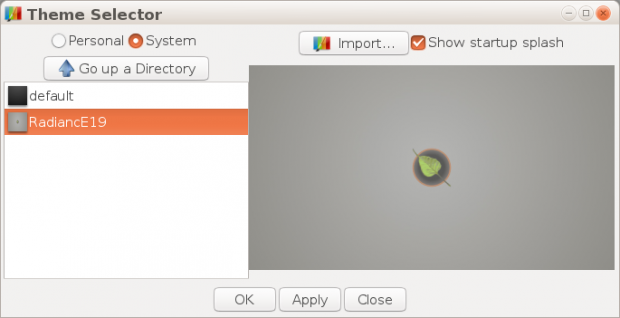 Note: If you are looking for new themes visit here.